At Barrys Bay Cheese, our milk comes from local, grass-fed cows. We don’t know their names, but we know where they live. Sourcing our most important ingredient from a single farm in the same geographic area is one of the ways we ensure that every piece of our cheese tastes as good as the last. Being so close to the source of our most important ingredient also has implications for our cheese. Not many people know this, but milk doesn’t like being jiggled about inside a milk tanker. So the less time it spends on the road, the better. By minimising the travel time from the farm to our factory, we do our best to preserve the unique flavour profile of the local milk that gives Barrys Bay cheese its distinctive taste. the traditional way since 1895. Local cheese made by local people. We’ve spent years obsessing over creating the best cheeses in all the land – over 120 years, in fact! 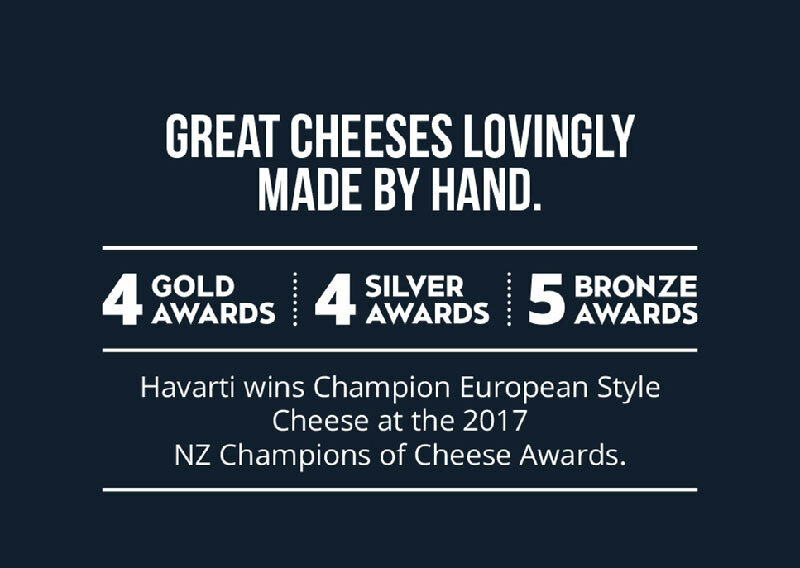 – and we pride ourselves in producing delicious cheeses for our loyal customers. We’ve spent hours over the vat, meticulously checking the pH of the curds and whey and days exclusively wiping and turning cheese wheel after cheese wheel. And when we hang our hats at the end of the day… it’s all for the love of cheese.